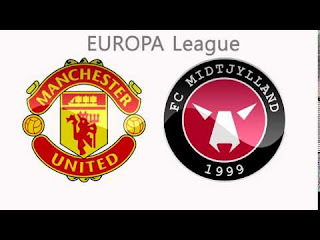 Ebere Paul Onuachu very impressed to see the appearance of Manchester United after his goal provides for Midtjylland 2-1 victory in the first leg of the Europa League round of 32. The Danish champions had trailed 0-1 by a Memphis Depay goal in the 37th minute. But was able to reply directly Pione Sisto just a few minutes ahead of the break. Onuachu finally became a hero Midtjylland after substitute it kicks off in the 77th minute that failed to anticipate Sergio Romero to complete an impressive comeback host. Onuachu said to BT Sport that he expects something more from them, but his team will give them something they never imagined. His team's best game show and get a positive result. Midtjylland itself is not the first time get rid of the Premier League club. Previously, Jess Thorup's squad managed to fling Southampton in the Europa League playoffs. After the 1-1 draw at United in the first leg, Midtjylland won 1-0 at home. Similar results over Manchester United on February 25 could take them through to the last 16. Onuachu said that he was looking forward to the next leg, hopefully the team can get something. His team came as a champion of Denmark, his team also beat Southampton and the best show against Manchester United. Hopefully his team wins. Tim Midtjylland teams have to stay positive. It will not be easy, but the team will give the best.